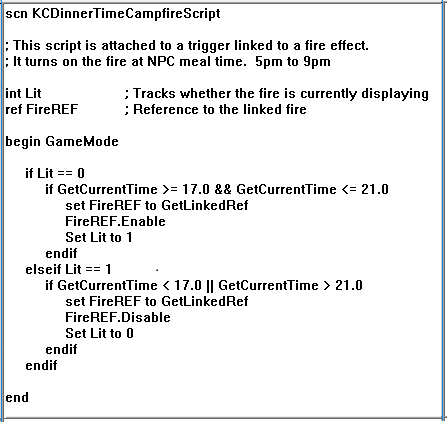 This script turns on (makes visible) the fire particle effect attached to a campfire. The fire comes on at 5pm and stays lit until 9pm. All other times the fire is out. The quirk with this script is that it enables a reference "Linked" to the actual scripted object.